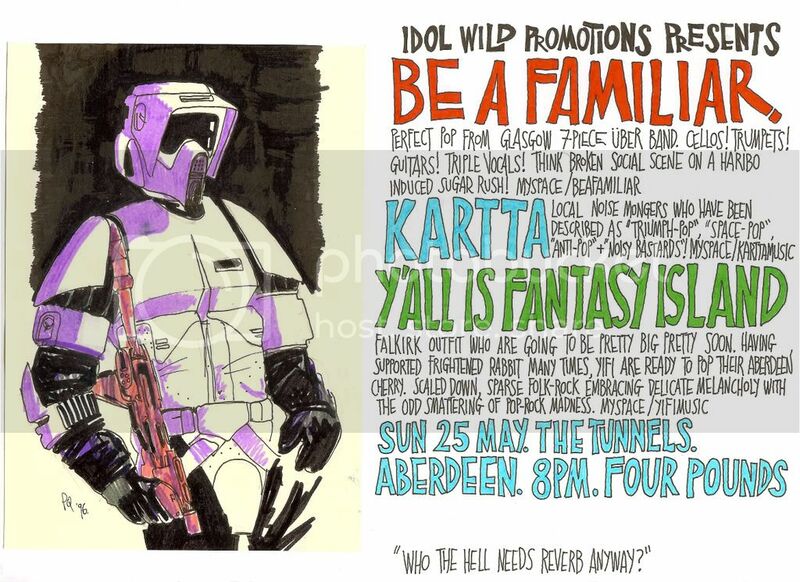 [GIG] Be A Familiar // Kartta // Y'all Is Fantasy Island. Tunnels. Sun May 25. 4. Perfect pop from Glasgow 7-piece uber band. Cellos! Trumpets! Guitars! Triple Vocals! Think Broken Social Scene on a Haribo induced sugar rush! Signed to new and up-and-coming Glasgow label Broken Friend Records. Local noise-mongers who have been described as "triumph-pop", "space pop", "anti-pop" and "noisy bastards"! Oh, and "handclap driven indie". Falkirk outfit who are going to be pretty big pretty soon. 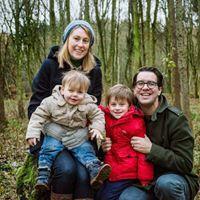 Having supported Frightened Rabbit many times, YIFI are ready to pop their Aberdeen cherry. Let's make it special for them, eh? Scaled down, sparse folk-rock embracing delicate melancholy with the odd smattering of pop-rock madness. hmm, might pop down to this. sounds kinda lush. Another band you stole from us ya fink! You were going to book Kartta? I assume you mean YIFI? I am so freaking excited to see these two out of town acts. Both are incredible. very good poster, big yin! I found the drawing going back through old sketch pads - it was done almost 12 years ago! I need someone to man the door for me and take the money. I'll be too busy and stressed to do this myself. No previous experience required - just an ability to count and stamp people's hands. You will receive 15, free entry to (sort of) see the three bands, and a couple of drinks. You're not wrong - Caribou, Stars of the Lid/Remember Remember/Glissando, Meursault, then this bad boy - all in the space of four days. So yeah - who said Aberdeen "is a bit pish for music"? If he does the shift on the door for me! But I was going to Tosche Station to pick up some power converters! There is too many of them! But never too many attendees - so please come. Atcha bvanna newanna, he's no Jedi Knight. That's not in Star Wars! Don't call me a mindless philosopher, you overweight blob of grease!